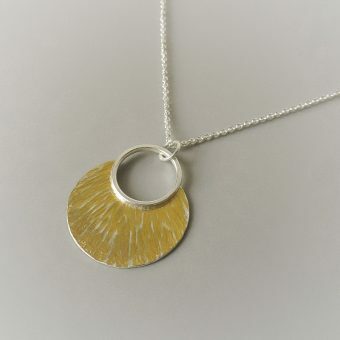 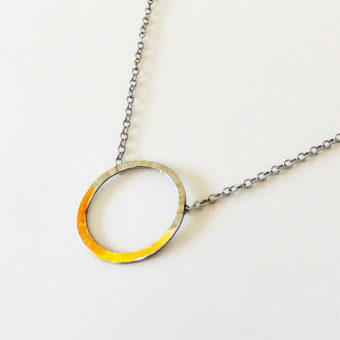 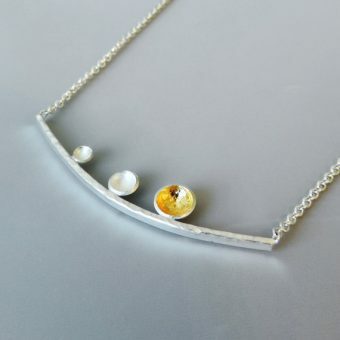 A simple and beautiful necklace with a subtle detail of gold. 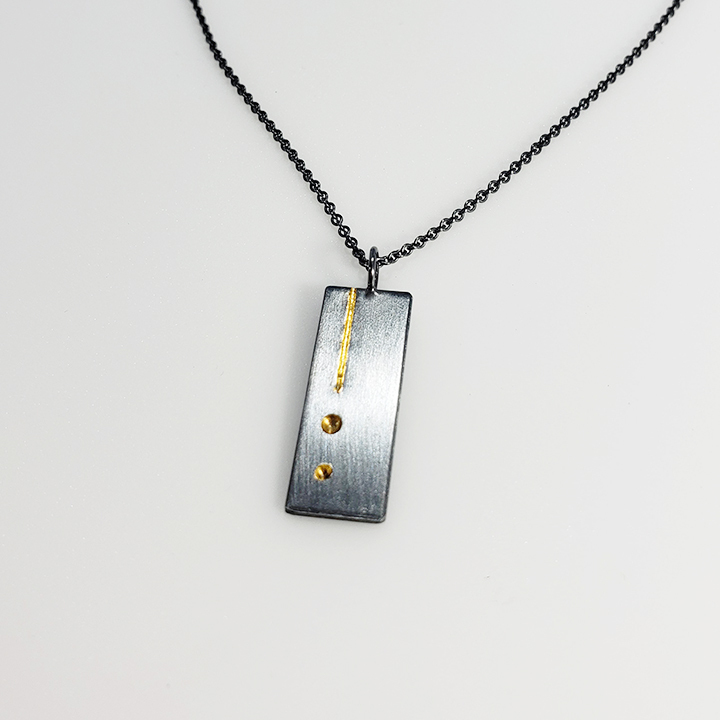 Handmade of sterling silver 24k gold and finished with a dark patina on a 22 inch chain. 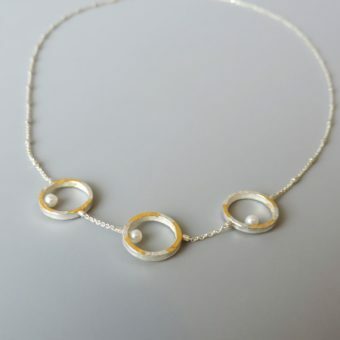 A simple and elegant necklace with a subtle detail of gold. 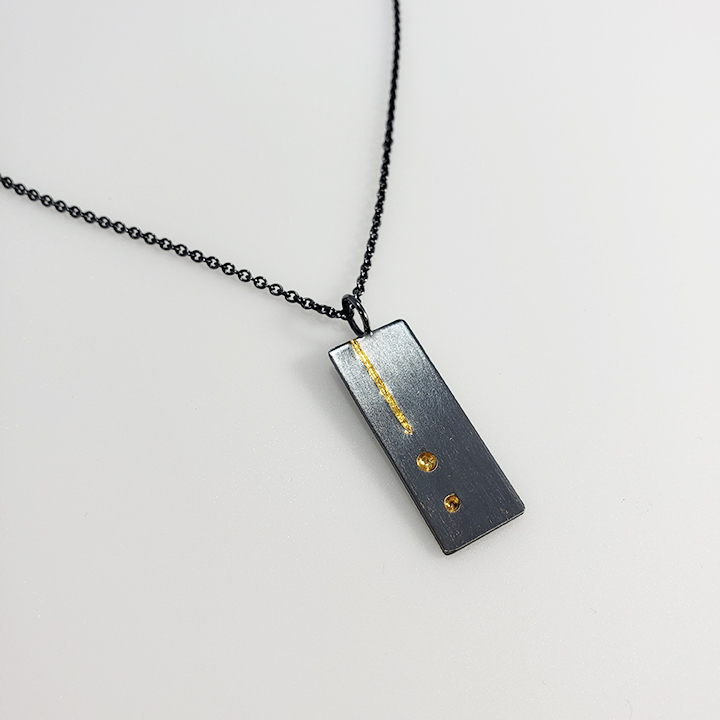 Made of sterling silver, 24k gold keum boo and finished with a dark patina. 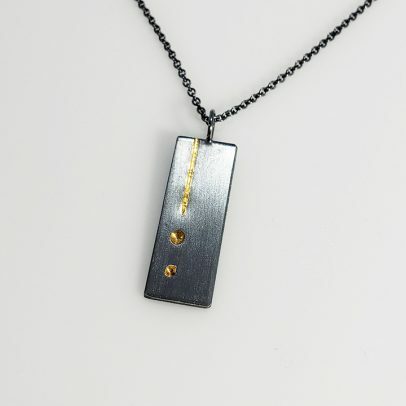 Measure: The pendant is an inch long and the chain is 22 inches long.